Guess what? 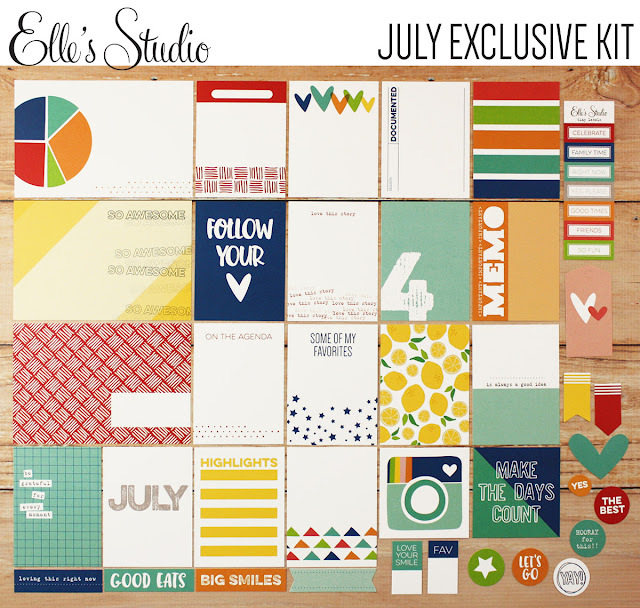 The Elle's Studio July Kit + Exclusives are now live and that means that the design team gallery is live too, and I know you'll find some good, good stuff there. Here are a few layouts I created using this month's kit + exclusives. I was beyond obsessed with this star cut file and knew I had to use it. 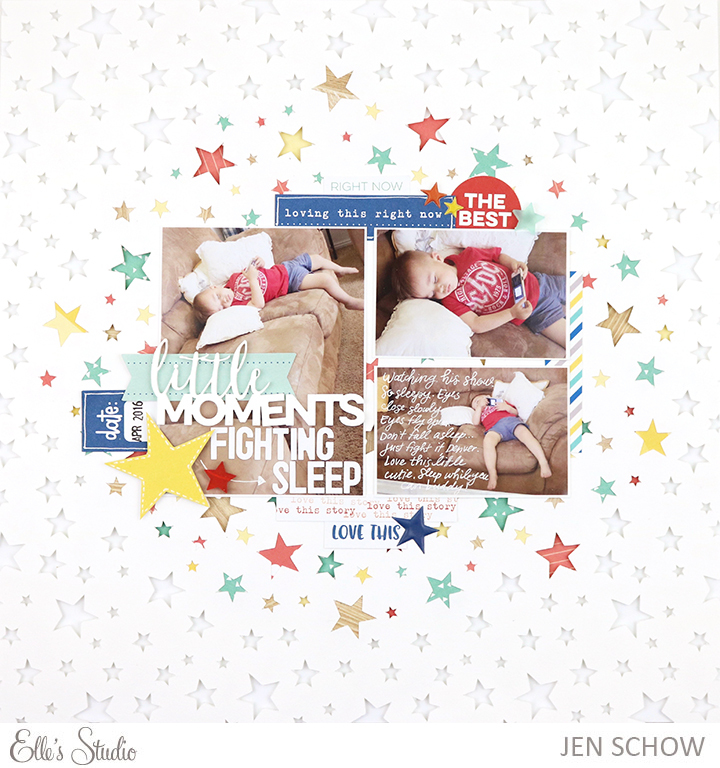 I ended up backing some of the stars with patterns from the 6x6 Papers from the Sunny Days collection. I also used a few acrylic stars and some puffy stars from Sunny Days (which are restocked today)! This layout uses a bunch of cards from the kit layered up with Sunny Days papers, along with some of the vellum hearts available. I had to include that little ice cream cone wood veneer that we got in a kit a few months back. You can see close-ups of my layouts over in the Elle's Studio DT Gallery, as well as links to the products I used. Remember that the kits are $9.99 on launch day, but go up to $11.99 after that and are only available while supplies last. Also, there is a 20% off sale on all stamps that you won't want to miss! I have a video below showing you the kit and exclusives so be sure to check that out. You can head over to Elle's shop to purchase any of these awesome new products. Let me know if you have any questions and thanks for stopping by! I am loving your pages with this kit! Beautiful work! !